Today, legendary drag queen RuPaul continued his march across the pop-culture landscape by filming the pilot for a daytime talk show pilot. A RuPaul talk show? Cripes, first there was Drag Race, his podcast What’s the Tee, then DragCon and his coming Netflix series AJ & the Queen. Seems like RuPaul is really staking out his TV legacy. 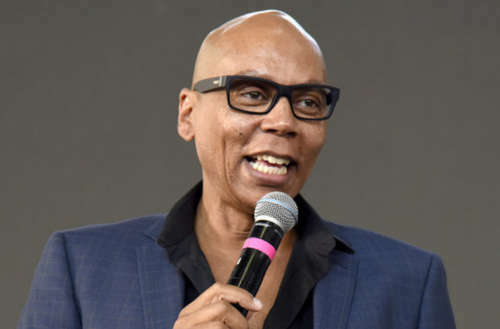 Variety reports the RuPaul talk show pilot was shot for the TV production company Telepictures, a Warner Brothers company that also produces Ellen DeGeneres’ daytime talk show. The RuPaul talk show will feature Ru “interviewing celebrities, giving beauty and glam tips, playing games and dishing on pop culture.” The pilot is aiming for a fall 2019 run and will feature Ru’s gal pal Michelle Visage as a co-host. Anyone who has ever listened to RuPaul’s podcast What’s the Tee knows that the star already has lots of charm, wit and verve, using the platform to get celebrities to open up about their career hardships and emotional drives. But this isn’t the first time we’ve seen a RuPaul talk show. He hosted another one during the late ’90s. In the late ’90s VH1 hosted The RuPaul Show, a combination talk and sketch comedy show. It was the first American talk show hosted by an openly gay host and featured Ru interviewing celebrities as well as acting in comedy skits and performing the occasional lip-sync with male backup dancers. The show only had 100 episodes and lasted from Oct. 12, 1996 to Sept. 23, 1998, but hopefully Ru’s new talk show will have a longer life. What do you think about the possibility of a RuPaul talk show?